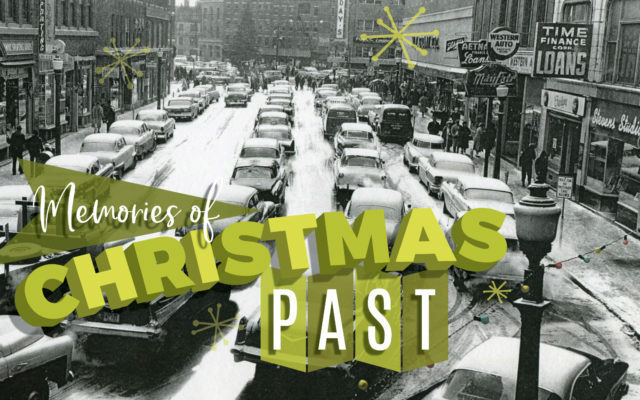 People old enough to collect Medicare and Social Security like to reminisce about old-time Bangor Christmases. No other city in Maine seemed to capture the holiday magic better than the Queen City of the East, where 20th century crowds gathered in West Market Square to watch the Christmas tree lighting, drivers jockeyed for Main Street parking spots before snatching up the latest holiday bargains, and children stood by store windows just to see the latest winking mechanical Santas. Even the ravages of World Wars I and II, Korea, Vietnam and others to follow couldn’t deter the Yuletide spirit. In my unofficial role as Bangor’s historian, I love to share Christmas stories from 1918, when the world was at peace for the first time since 1914. Local soldiers mailed holiday cards home from Europe’s trenches starting in 1917, when the United States finally entered the war and continued to do so after the conflict’s end on Nov. 11, 1918. Some took weeks, even months, to reach their destinations. This city lost 18 soldiers to war wounds and influenza. During this centennial year of the first Armistice Day that signaled the end of hostilities, it is wise today to reflect on what Christmas must have been like on faraway battlefields.